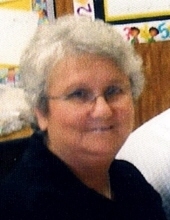 Barbara Hamm, 72, of Covington, passed away Sunday April 14, 2019 at her residence, surrounded by family. Barbara was born in Bracken County on June 17, 1946 to the late Alton and Geneva Tucker Brierly. Survivors include her husband of 51 years, Ivan “Butch” Hamm; her son Steve (Jennifer) Hamm; granddaughters, Alexis and Madison Hamm; a brother Gary Brierly; and numerous nieces, nephews and extended family. In addition to her parents, she is preceded in death by her brothers, Danny Brierly and Alton Brierly, Jr. and a grandson, Spencer Hamm. Services for Barbara Hamm will be at 1 p.m., Thursday, April 18, 2019 at Brell & Son Funeral Home with Pastor Denise Embry officiating. Burial will follow in Green Acres Cemetery. Pallbearers will be Rocky Hamm, Donald Tucker, Eric Branham, Austin Branham, Josh Tucker and Jason Tucker. Danny Branham, Eddie Tucker, and James Hamm will serve as honorary pallbearers. To send flowers or a remembrance gift to the family of Barbara Ruth Hamm, please visit our Tribute Store. "Email Address" would like to share the life celebration of Barbara Ruth Hamm. Click on the "link" to go to share a favorite memory or leave a condolence message for the family.